Now that our first holiday season in the new Local Store is nearly complete, we want to thank everyone who came to shop or to one of the many events we held throughout November and December. We had some really great days and nights filled with music, food, hot cocoa, and the warmth of a community coming out to support our little shop. Since the magazine, the website, and the events we produce are all free to the community, we frequently have people ask us how they can support our efforts in some way – and shopping at The Local Store is how to do that. 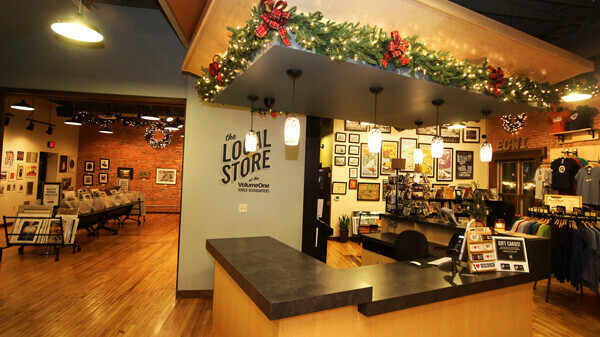 It’s fun to have a chance to interact with readers and the public in a space like that, and with our office upstairs open to the store below, it goes a long way to help our staff feel more connected to the people who enjoy what we do. So if you came in this holiday season to do a little local shopping, we thank you sincerely, and we hope to see you again very soon. Happy New Year!